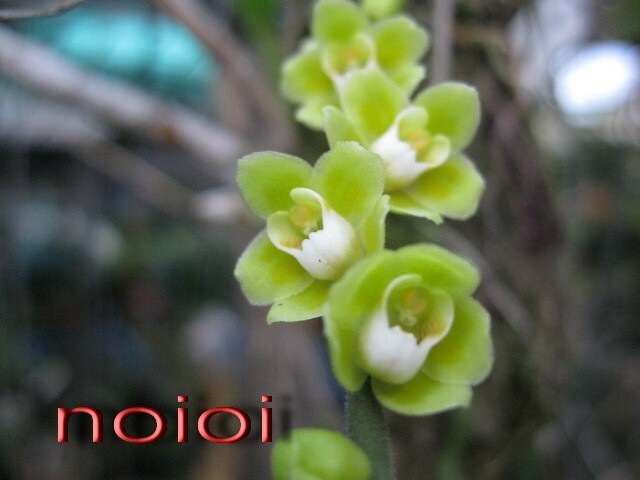 Discussion in 'Orchid Species' started by noioi, Jul 14, 2012. 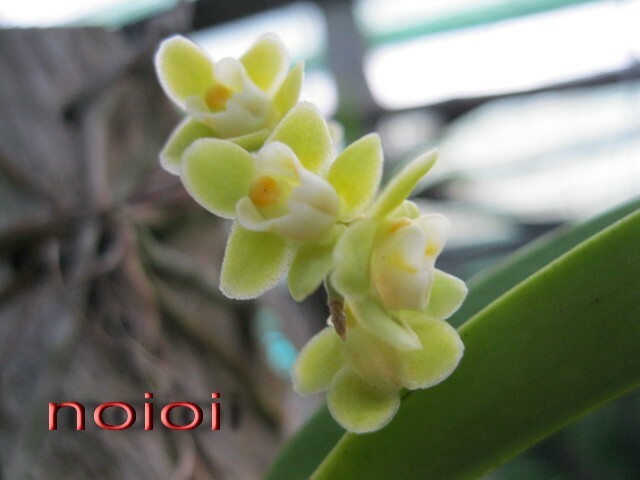 Chilochista usneoides a leafless orchid epiphyte member of vanda alliance, they do have leaf but only short period of growing period, so theirs roots performed photosynthesis. Looking great! 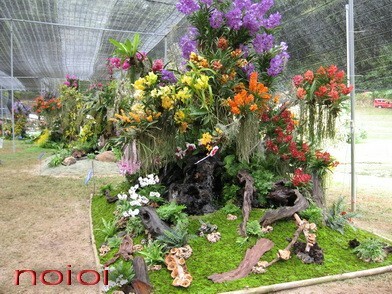 I wish I could grow those well. Nice blooming! I'm also interested in your growing area. Is it covered with a plastic or is it only shade cloth and so open to the rain? it's a plastic sheat that allowed the sunlight passed for 50 or 70 percent depend on the kind of sheat selacted, the rain can pass througth the sheat. as cover the area are the plastic sheat that mentioned. 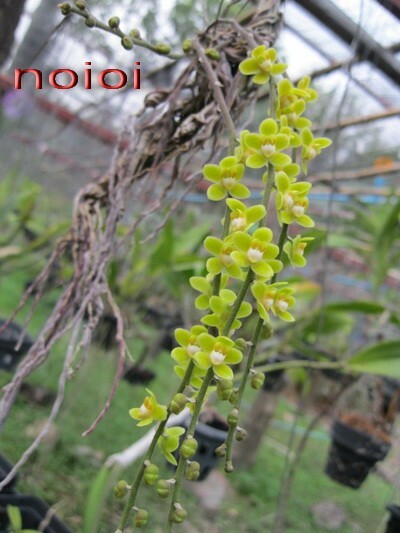 the hybrids of chislochista had been made which could shiped rather than the specie, some orchid nursery may ready sell. 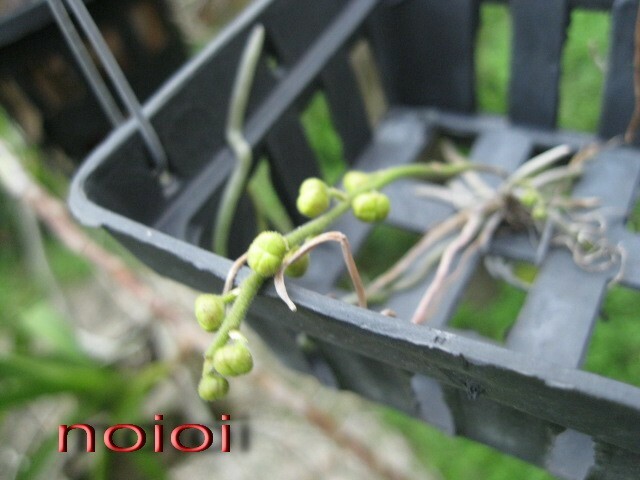 noioi, I grow mainly species... hybrid Chilochista don't make it easier in my cool condition in winter either. Is it your own plants? or You just took photos at show? 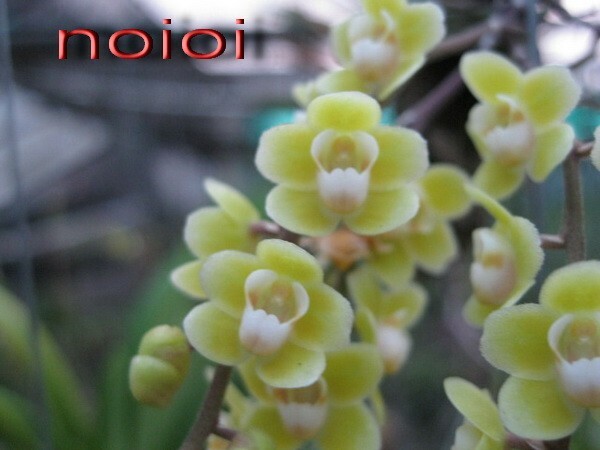 Noioi, does it mounted or just suspended in the air on (wire)? Thanks, Noioi, that answers my question very nicely. That is what we call shade cloth (at least in the US). 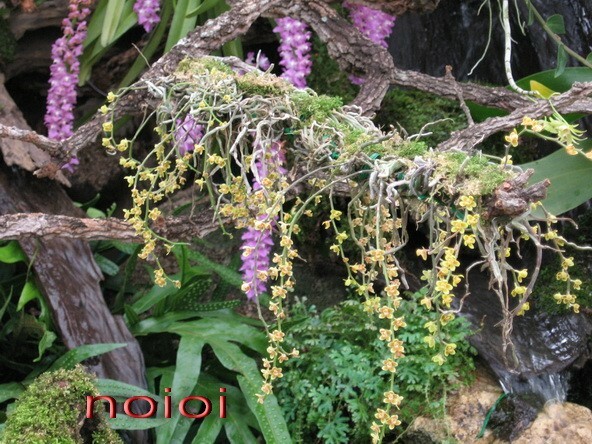 It looks as if there is some moss on the group of Chilochista in the image. If that is what I am seeing, do they grow with moss on them normally? I understood that they needed to dry quickly and not have moss. The exhibits in the shade-cloth image are outstanding. 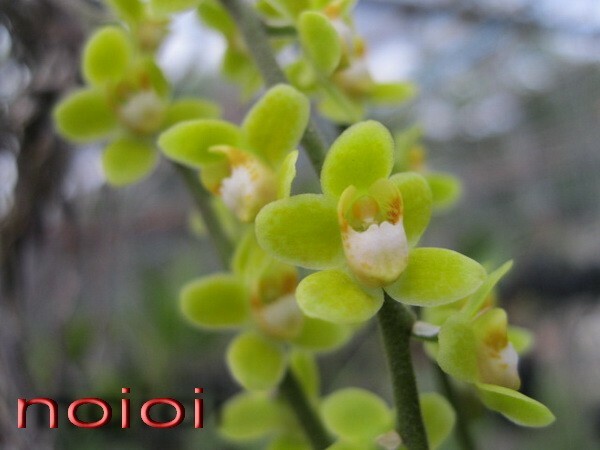 can the chilos tribe in the cool condition ?chilos may not easy both species and hybrids, they like vanda . 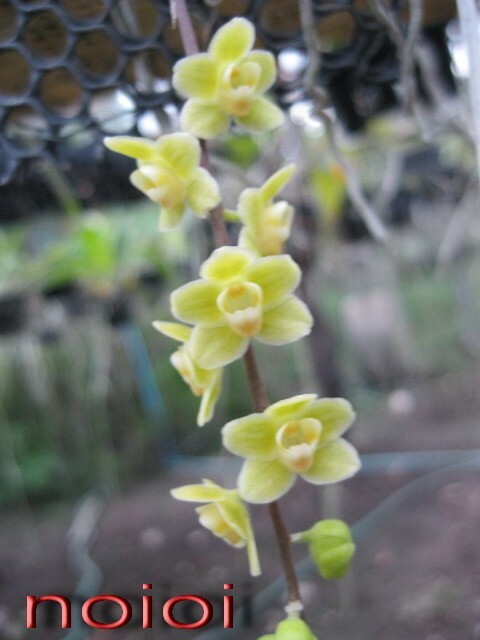 only the last one taken from orchid show the rest are my plant some from nature collection the good form were bred from selected parent.